Wouldn’t we all love a little “easy” money? I know I would! Well, there are lots companies online that promise quick money—offering ways to earn money from home or showing you how to bring in income just by using your computer or phone. Swagbucks is just one such company—and it’s VERY popular, so now's a great time for an honest Swagbucks review. Now, I’ve tried a LOT of ways to make money from home. I’ve run a daycare from my home, I’ve tried selling stuff on eBay, and I’ve tried user testing. If you’re looking for ways to earn extra money, I recommend you shop around a bit and consider work that looks more like, well, having a job. For example, you could try freelancing or becoming a virtual assistant. When it comes to earning money by taking surveys online, to be honest, I’ve found it’s NOT the most lucrative way to earn money. 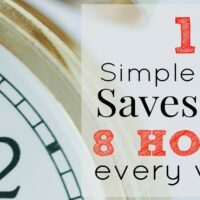 You can earn way more by blogging, especially when you put all that time and energy into working on your own website (instead of working for someone else). Survey sites like Swagbucks don’t pay out in high amounts and they can be time consuming. You might feel like you’re spending hours a day online, only to receive a very small payout at the end. That said, completing surveys and getting paid to surf the Web through a company like Swagbucks can be a fun way to earn extra money…for the right person…and don’t expect to make a living doing it. Can you earn money from Swagbucks? Sure! If you’re going to be on the computer just “playing around” anyway, or if you’re a frequent online shopper, Swagbucks can be an easy bonus-earner. 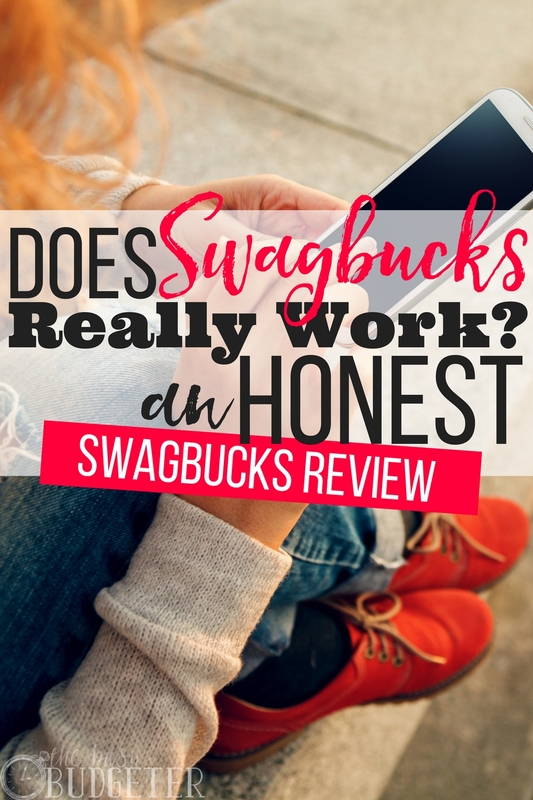 For a long time I was pretty firmly against taking surveys for money (I just didn’t think they were worth my time), but after some research and giving it another shot, I can admit that I might have been missing out on some of the easy ways to earn with Swagbucks. Survey companies often pay out in credits and gift cards, which add up fast, particularly if you shop at preferred and partner retailers like Amazon. When shopping, Swagbucks offers great returns and discounts—saving you up to 25% on your purchases! So if you’re already planning to buy something, then using Swagbucks is simple and it can pay off. You can also earn money for vacations, to stoke your emergency fund, or for other fun things through Swagbucks. It won’t pay out in huge amounts, but like I said, if you’re going to be online anyway…. If your time is limited, or if you just feel like blogging and other online jobs are too much for you, then Swagbucks can feel like a little shopping bonus. It can be fun and simple. It’s a user-friendly platform, and it’s easy. If you’re already clicking around—watching YouTube videos and spending time on social media—then you might as well be making a little extra while you do it, right? Earn “Swagbucks” (credits worth about $.01 each) by doing very simple tasks. These credits add up quickly—and one survey can pay out anywhere from 75-300 credits or “bucks.” Now, doing the math, that’s $.75-$3.00 for 15-20 minutes worth of work. So, yes they add up fast, but it’s just not as lucrative as other online activities can be. Once you’ve earned a certain amount of Swagbucks, you can trade them in for gift cards or virtual credits from preferred retailers. There are many popular retailers available, like Amazon, Starbucks, and Walmart. Again, if you’re planning to shop there anyway, Swagbucks can be really useful. Like I said before, Swagbucks isn’t just surveys—and that was the game-changing discovery for me. You can also earn credits by watching and reviewing videos, visiting websites and reviewing products, and playing easy and fun games. The easiest way to earn is by simply installing and using their search bar into your browser. From the search bar, you can earn credits by “clicking through” their search feature to visit sites like threadUP, travel sites, and more. This was the biggest takeaway for me personally: when using their site, the returns are pretty good, and even if you do nothing else on their site, the search feature is worth it. I can earn all kinds of Amazon credits and gift cards by simply doing what I planned to do anyway. All of that said, I’m guessing there aren’t a lot of you whose life-long passion is to take online surveys and earn gift card money. That’s why I say starting a blog is the easiest and best way to earn money online. Blogging changed my life, and it’s seriously the simplest job I’ve ever had—and the best paying! I would say that, if you spend a lot of time aimlessly surfing online or doing surveys, or playing games and watching videos, take that time and instead use it to start your own blog. Blogging allows you creative expression. It lets you help others and share your knowledge with the world. Figure out what you love to do and/or what your true passion is, and chances are, you can turn it into a blog! Blogging is fun and you don’t have to have any special technical skills or expertise. Really: if I can do it, anyone can! If you aren’t sure how to get started, there are plenty of resources. 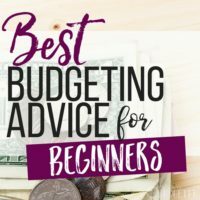 Once you realize how much you can earn from blogging, the decision becomes pretty darn clear. Blogging is the best way to earn money online. Far better than Swagbucks, InboxDollars, or any other survey company out there. However, if you still have extra time and you enjoy doing surveys, or if you just use Swagbucks for the search feature and to earn through shopping you already planned to do—then it’s totally worth it, so you might as well go for it. It’s a very simple way to earn extra money online. They DO send a lot of email to your inbox and it can get a little overwhelming (so be prepared), but as long as you don’t sweat it and just take it for what it is, it’s great. When used as a companion to online surfing and shopping you were already doing, Swagbucks isn’t a bad use of your time, so it’s worth checking out. But if you’re looking to earn some real money, blogging is better across the board—plus, bloggers have more income potential long-term. Period. It’s a better use of your energy, and if your time is limited (whose isn’t? ), then blogging is a better use of your time-budget. I’d love to hear your thoughts on surveys and whether or not you think Swagbucks is worth your time. Does anyone have experience with the ‘Bucks where you’ve earned more than you thought possible? I’d love to hear about it! 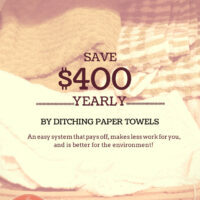 I love using swagbucks as an easy way to earn money. I love their refferal credits too. They can add up fast! I’ve been using Swagbucks since 2009 and I love it! I don’t earn as much as I probably would if I invested more time and effort, but even having the extra few dollars a month for being active is a great help. It is great for someone who doesn’t mind earning a little extra for little work, or for college students, like I was when I first started using the site. 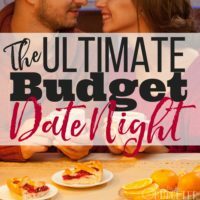 I use Swagbucks, and it works for me, because I’m a VA with my own business and am on the computer all day anyway – so I earn the most from searches. One little trick I use is to install the Swagbucks app on my cell phone and let it “watch” videos every day until I hit the daily limit – that’s an extra 4,380 Swagbucks a year if I do it every day. (I do miss a day occasionally.) I don’t have to actually watch the videos, just let them play with the sound off. I end up with at least a $100 gift card by the end of the year, but usually more. You can get the payout in cash to your Paypal account or in gift cards. I usually use it for Amazon cards – a big help at Christmas time! I love Swagbucks! Honestly, I rarely bother doing the surveys unless I’m really close to cashing out for a Gift Card. I’ve not the patience for the low payout. But the cash back and bonus bucks I earn when shopping on other sites is worth it. I pretty much cash out purely in Amazon GC, aside from one time when I did a PayPal GC. Since the majority of my shopping takes place on Amazon it’s definitely worth it to me. I’ve made over $300 in the past couple years from Swagbucks and I rarely visit the actual site except to cash out or occasionally play around with the SWAGO boards.